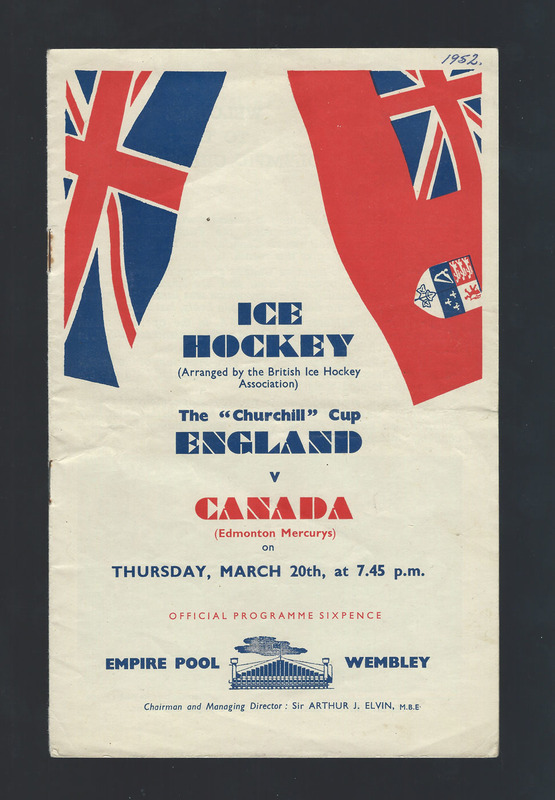 Excellent condition original program from the 1952 Churchill Cup held at Empire Pool Wembley England between the recently crowned Olympic Gold Medalist Edmonton Mercurys and England All Stars. 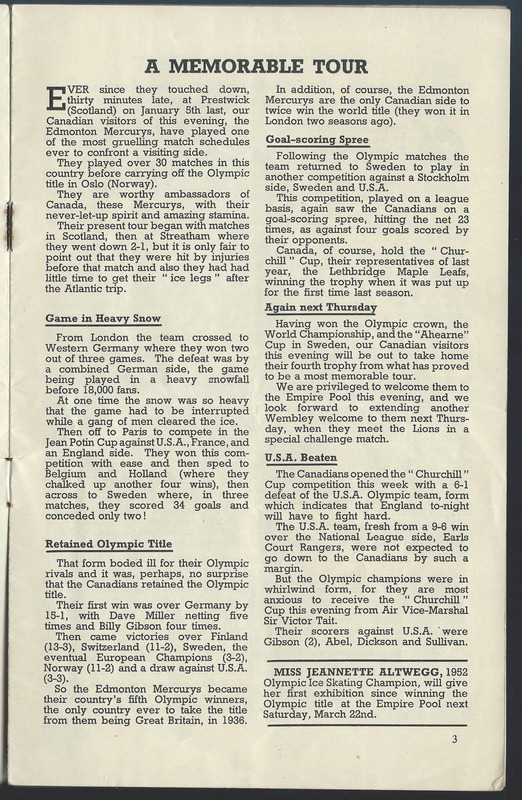 All original and in tact program featuring the newly crowned Olympic Champion Edmonton Mercurys Team Canada vs England who was made up of All Stars from the British Ice Hockey Association. 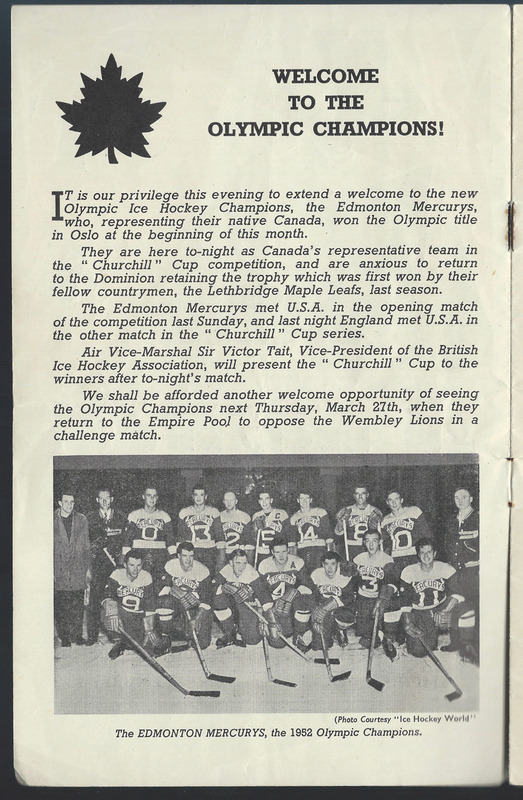 The program has 10 pages full of information on the Edmonton Mercurys including photos, tour information and the line up of players with their jersey numbers. Great information on the Wembley Lions of the BICA. Complete lineup of Team England. The program is in very good condition with only slight separation on the bottom binding 3/4". All original staples remain intact and rusted which is how they should be. 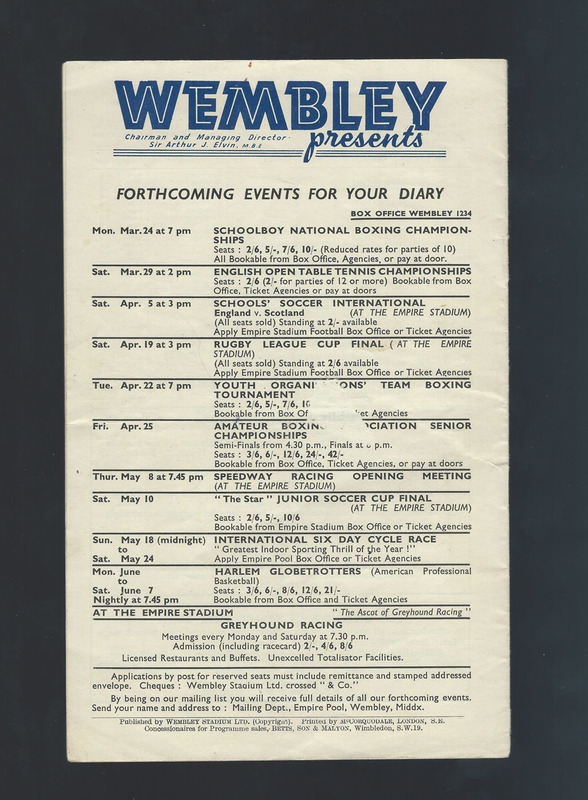 "1952" noted in pen at top of program front. Otherwise no writing in the program. Nice photo of the Edmonton Mercurys showing them in their Alberta league jerseys.